All participants of the CYBCONF 2015 conference will be invited for a group photo session. At the close of the first day of the conference all participants are invited for light snacks. 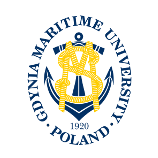 The welcome reception will be held in the hall of the Faculty of Navigation, Gdynia Maritime University. 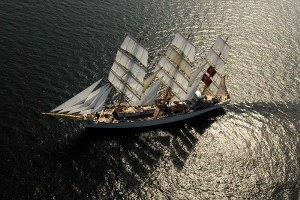 On Thursday at the Hotel Nadmorski will be held a gala dinner. 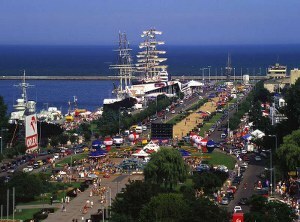 The Hotel Nadmorski is located by the white beach of Gdansk Bay and the Seaside Boulevard - walking and cycling route along the coast. Over a meal and drinks, there will be the excellent opportunity to renew old acquaintances and build new ones. After the conference a tour to the European Solidarity Centre and the Old Town in Gdansk will be organized (with an English tour guide) for the conference participants. 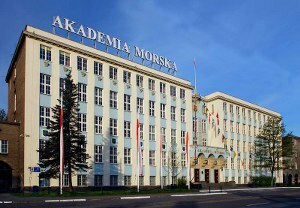 European Solidarity Centre (ECS) is located on Solidarity Square with the historical Gate of Gdansk Shipyard, where the Solidarity movement was born. Its main mission is to commemorate, maintain and popularise the heritage and message of the Solidarity movement and the anti-communist democratic opposition in Poland and throughout the world. The center popularizes and inspires to new cultural, civic, trade union, local government, national and European initiatives with a universal dimension. In Gdansk - Hanseatic tousand-year-old town - we will show you the most famous Gdansk monuments located near the heart of its Old Town district, around the Long Street and the quayside. You will walk the Long Street and the Market Square and admire the Main Town Hall, the famous Neptune Fountain, the Golden House, the Court of Artus and the beautiful XVI – XVII century houses. At the end of the Market Square you will find the Green Gate. Next, you will see the picturesque old quayside by the Motlava River. Then you will have a chance to see another great monument – the Crane. Later, we will take you to the charming Mariacka Street with the largest red-brick gothic church in Europe – St. Mary’s Church. 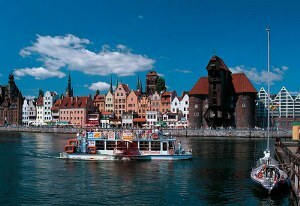 The Mariacka Street hosts also the famous Gdansk amber manufacturers with their gorgeous handicraft. 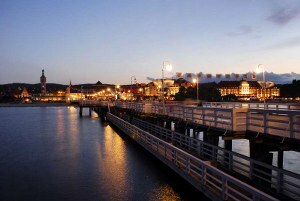 On our way back to Gdynia, we will stop in Sopot to see the longest wooden pier in Europe. The trip is free for registered participants. We hope that you will enjoy this trip! if you are interested in participation.